Vikan 250mm rubber blade. Wipe n shine blade an effective way to remove water after washing. Made from a soft rubber its gentle on windscreens and lacquer. Wipe n shine blade an effective way to remove water after washing. Made from a soft rubber its gentle on windscreens and lacquer. For rapid and efficient removal of rinse water from newly cleaned surfaces. Gentle on paintwork and removes lime residue. Flexible blade follows vehicle contours. Hard wearing rubber blade. 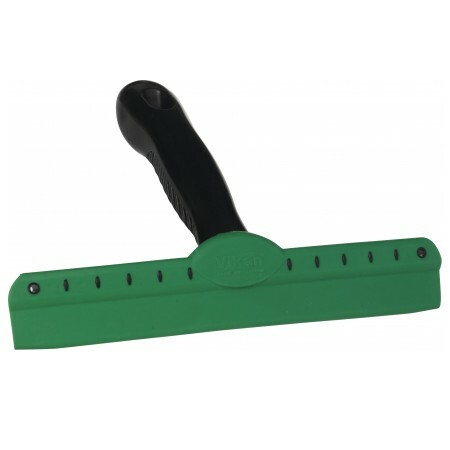 Hand held item which can be fitted to any Vikan handle for high reach drying after rinsing.